Menezes Demands More From His Troop To Halt Chennai City. Aizawl FC will try to get back to their winning ways after losing their last match against Mohun Bagan as the reigning champions are slated to host Chennai City FC on their first home match in 2018 and the people of Aizawl city will be eyeing all three points against the Southerners. Aizawl FC are trailing the League leaders Minerva Punjab by nine points having played two matches fewer. Chennai City will play their penultimate away match of the season after showing their potential against Shillong Lajong to garner a hard-earned point from the capital city of Meghalaya. 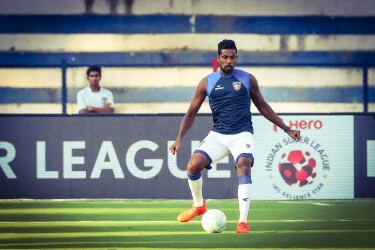 Chennai City garnered 4 points from their last two away matches against Mohun Bagan and Shillong Lajong and head coach V Soundararajan is brimming with confidence as they are to face the champions. "We have recruited more players from the rural areas this season and the boys are doing well. Aizawl will be our second last away match and we hope to have a better result in our home matches. Top 4 is still a possibility and we will fight in our remaining matches", said V Soundararajan. Chennai City pride themselves on nurturing local players and team captain Michael Soosairaj is a testament to their philosophy. 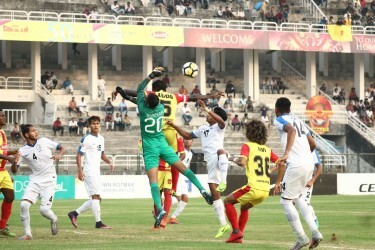 Speaking of Soossairaj head coach V Soundararajan said, "Soosairaj has represented Tamil Nadu in the Santosh Trophy for many years and he is really a talented player. He's been in the club for a long time and he always gives 100% in every match." Chennai City's Slovenian goalkeeper Uros Poljanec is the lone foreign goalkeeper in the league and the Slovenian goalkeeper spoke highly of Indian goalkeepers. 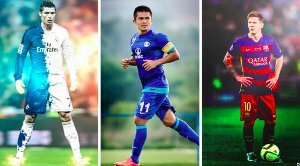 Uros stated, "I think I-League does not need to import many foreign goalkeepers. 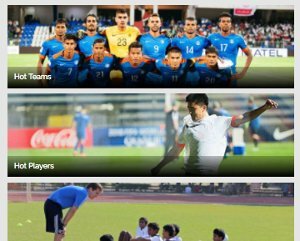 Indian goalkeepers are good enough but foreign goalkeepers will help in developing the local players." Aizawl FC amassed 10 points from their first 6 matches and the champions will have to improve in their remaining matches. The exodus of crucial players following their fairy-tale season dented their squad but head coach Paulos Menezes is happy with his troop. "We are not in the market for new players and I am happy with the squad. My players are good enough and we will play to collect 3 points against Chennai City tomorrow." The Portuguese coach clearly stated that title is their primary target and the players need to improve to attain the same. "My players always bounce back after a bad match and I hope that trend continues. We can have no excuses and retaining our title is still the primary aim. The young players are doing well but they will have to improve," opined the Portuguese coach. Aizawl's Romanian midfielder Andrei Ionescu stated, "I-League is a major upgrade from Mizoram Premier League (MPL) and the foreigners are doing their parts as well. We always gave our best in every match and we'll continue to do so." Kick-off is scheduled at 02:00 PM with the match to be broadcast on Star Sports 2/2 HD. Hotstar and Jio TV will stream the game live.